Scott began playing baseball at BYU in 1977, and he interrupted his collegiate career to serve an LDS mission to Argentina. He played during one season at the major league level for the New York Yankees and Chicago White Sox. He was drafted by the Seattle Mariners in the 6th round of the 1983 amateur draft. 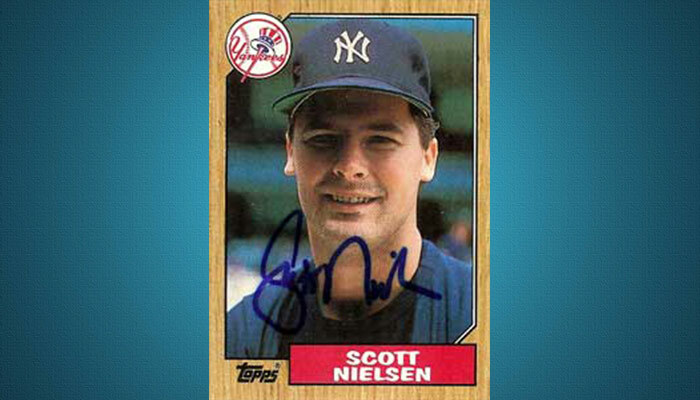 Nielsen, played his first professional season with their Class A (Short Season) Bellingham Mariners in 1983, He was the 1988 Topps Minor League Player of the Year and played in the AAA All-Star Game. In 1992 he was selected to the Columbus Clippers Hall of Fame. his last season with the New York Mets’ Triple-A club, the Tidewater Tides, in 1990.